WEST WINDSOR – It’s not too late to register for Fall semester college classes at Mercer County Community College (MCCC), as enrollment is now open for accelerated later-starting courses. Offerings include Accounting, History, English, Psychology, Sociology, Spanish, and much more. Most later-starting credit classes begin Sept. 30 and are available for both day and evening sessions. Classes are held on MCCC’s West Windsor and Trenton campuses, with online classes available through MercerOnline at www.mccc.edu/merceronline. A full list of later-starting credit is available at www.mccc.edu/later-starting, or by calling Enrollment Services at (609) 570-3795. Previously registered students may sign up for classes online. 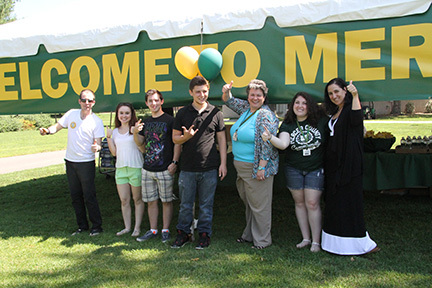 Enrollment is now open for later-starting Fall classes at MCCC. Mercer offers 70 associate degree and 30 certificate programs, many in career areas with projected job growth, including health professions, education, business, law enforcement, and computer technology. Through the University Center at Mercer, students who complete their associate degree are eligible to transfer into bachelor’s degree programs offered on the Mercer campus through partnerships with William Paterson University, Rutgers University, Fairleigh Dickinson University, and Felician College. MCCC offers assistance with financial aid, academic counseling, tutoring, and career services. For more information, visit www.mccc.edu/finaid. In addition to credit programs, MCCC offers a variety of non-credit classes through the Center for Continuing Studies. Non-credit courses begin throughout the fall, with training available for healthcare professionals and information technology careers, as well as numerous personal interest courses, such as culinary arts, photography, and musical instrument instruction. More information on non-credit courses is available at www.mccc.edu/ccs.